There are many reasons you may choose to remove trees from your property. Trees that are dead or in poor condition could pose a safety risk to your buildings and to people on the property. Some trees could be a storm hazard. And still other trees may simply interfere with your building plans or your vision for the property. When you do choose to have trees removed, be sure to call a qualified and experienced arborist to ensure the job is done correctly and safely. But before getting in touch with a tree care professional, you will need to work with your land surveyor. Prior to getting rid of trees on your property, you need to be 100% certain they’re on your land. A site survey is necessary before removing trees. Like an identification survey, this type of survey measures the land boundaries of the property to show its precise size, dimensions, and borders. This is important for a variety of reasons. But the site survey also identifies and documents the trees and other structures that are located on your property as well as adjacent properties. This comprehensive survey ensures your tree removal only involves the trees on your personal property. At Leslie & Thompson we utilise the most technologically sound equipment that has been rated for excellence in the surveying industry. You can count on an accurate survey, with results as a paper plot or in electronic format. For contractors, we can provide what you need for CAD documentation, as well. 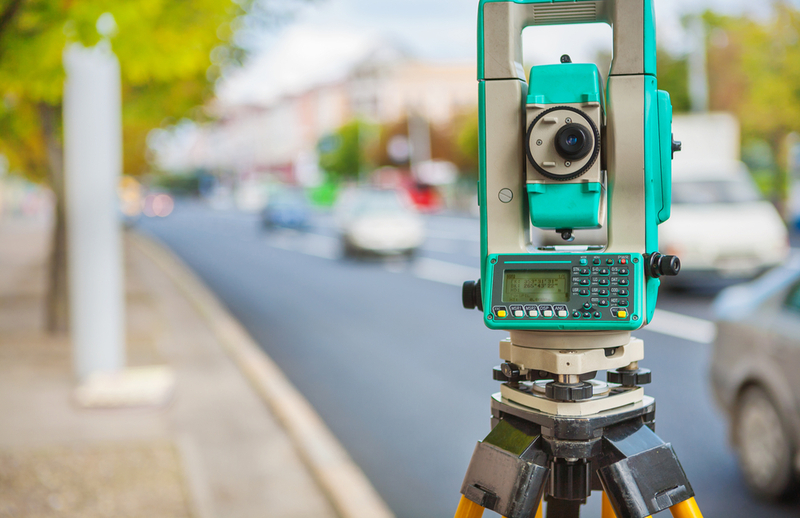 When you commission a site survey from your local land surveyors, you are avoiding several potential problems. Without a survey, you may inadvertently remove a tree from a neighbour’s property. This can cause tension amongst neighbours, but could also cause a significant dispute or even legal trouble. But that’s not the only reason to acquire a site survey. There are also several steps you must take before removing trees to ensure you comply with council regulations. A land surveyor can help through their detailed survey services, but also by providing knowledge and experience. – You’re not removing protected trees. Certain trees have a protected status, and cannot be cut or trimmed. These trees may be on the relevant council’s significant tree register. Any development surrounding these trees requires specific provisions be made for their safety and protection. – You’re not altering any public property or protected land. – You’re not removing trees which impact an adjoining property. – Neighbours’ consent is necessary for certain types of work. There is a scheme which applies to properties within certain areas of NSW that are within high risk areas for brushfires. The 10/50 Vegetation Clearing Scheme allows these property owners to remove trees and vegetation within a certain distance from their home without seeking prior approval. More details on this scheme can be found here. Before you trim, cut, prune, or remove, don’t forget to give us a call. Leslie & Thompson are your trusted Shoalhaven surveyors. We’ll make sure everything is in proper order for your tree work so you can handle tree care without worry. Get in touch today.